The days are longer, and the sun is trying to show who is boss. A few more weeks to go and I will be able to wear white pants.......who made up that rule "no white before Memorial Day" anyway? Those leeks and beautiful spring asparagus go so well together, I had to make a quiche to show them off. This was very rich, and I am not sure if it was the heavy cream or the Comte cheese, but it turned out to be a delicious combination of flavors. 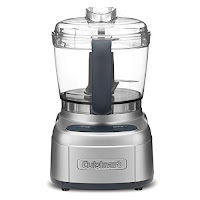 The consistency should be custard like, almost loose, like a quiche Lorraine. Cover your pie shell with foil and blind bake your pie shell with pie weights for 12 minutes at 375 degrees. After you have steamed your asparagus, cut your asparagus spears into 2" lengths, saving the tips for decorating the top of the quiche. 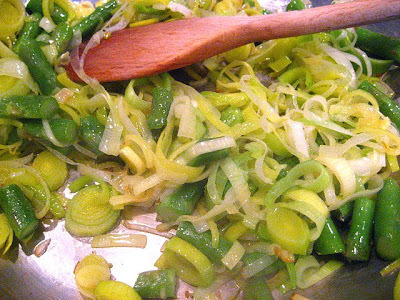 Slice your leeks into rounds and saute them with the asparagus pieces (not tips) in a heavy skillet w/ some olive oil. Cook until leeks are softening, about 5 minutes on medium heat. Whisk eggs w/ cream and nutmeg. Add shredded cheese, crumbled bacon, salt & pepper. Transfer custard to a measuring cup for easier pouring. 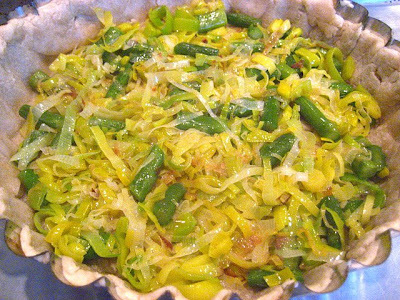 Place your leeks & asparagus pieces on the bottom of the pie crust. 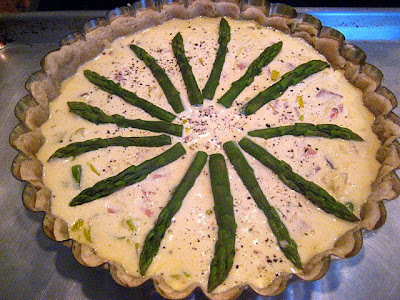 Pour your custard mixture over the vegetables, and decorate the top with the reserved asparagus tips. Place on a baking sheet and bake at 375 for 30 minutes until starting to brown and puff up. Serve with a nice green salad w/ a mustard vinaigrette. This looks so Springy! 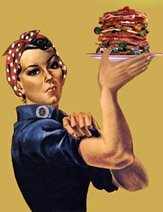 I have been rounding up some recipes for Easter as I am thinking about doing a brunch vs. a basic old ham. 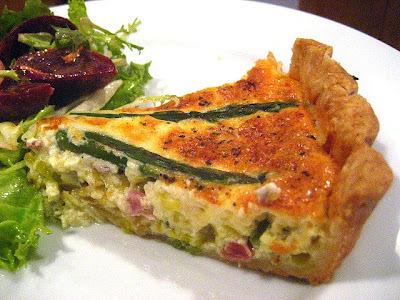 I really like the quiche and the vegetable tian! Squash and zucchini are both faves in our house. Thank you for the great recipes. Yay! Welcome spring! That quiche looks amazing! I LOVE leeks and asparagus! Now only if the weather would welcome it, too! Haha! We are still a little way off from Spring here but that still looks good! Looks great! I love quiche and finally got the husband to eat it. That is truly one of the prettiest quiches I've seen, yet! I never thought to decorate with asparagus like that before :::hangs head, because artistic talent is not my gift:::: I just bought leeks and am going to buy fresh picked asparagus today- I was going to make a cream of asparagus soup....but...this looks a lot more tempting. I cannot get enough of asparagus! Did you peek in my fridge? Leeks and asparagus are the only veggies I have in there at the moment. And some really old herbs - put we are going to go ahead and say those are destined for the trash. Really lovely quiche. I like how you laid out the asparagus - fancy! The asparagus looks beautiful, I love the look of this! Almost too pretty to eat...Almost. Nice deep golden color too. You could sell these! 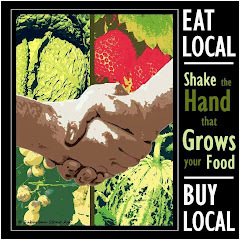 Can't wait to go to the greenmarket for the spring veggies! Ramps and fiddleheads!! 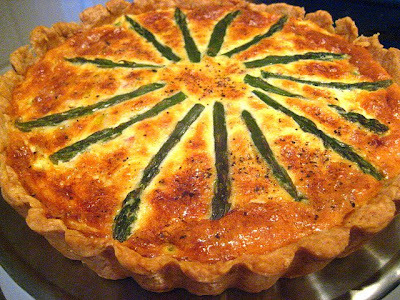 What a truly gorgeous quiche and it looks delicious as well. Love the combo of flavors you used! How artfully arranged are your asparagus. This looks so inviting. You are a real pro! Sorry, I'm the one who made that rule. Heh. 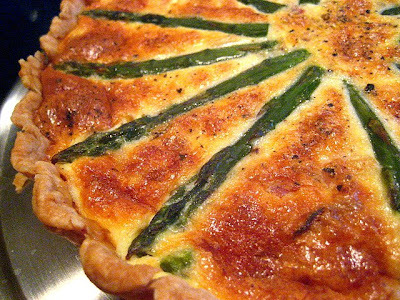 ;) That quiche looks wicked good, I love asparagus and eggs. 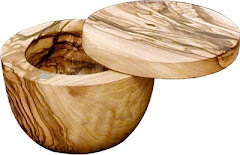 Stacey, I love this dish. The leeks frying in the pan is wonderful. I can smell them from here. I just love Leeks. Looks so good! A hearty hello to all that spring brings, especially this quiche. Leeks and asparagus?!?! Totally my type of cooking. I love how you laid out the asparagus..it really looks beautiful. 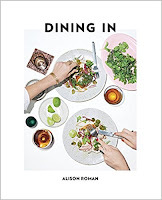 this looks lovely - what a wonderful way to welcome spring! Yours looks gorgeous! I love the long asparagus spears. That looks so good. It's the time of year to be using asparagus as much as possible. I'm never too optimistic about spring this time of year. I believe that I shouldn't give up on the fear that it might snow until the end of April. I figure I'll be less disappointed that way if bad weather happens and twice as pleased if it doesn't! What an absolutely lovely presentation. Kudos to you Stace for this one! 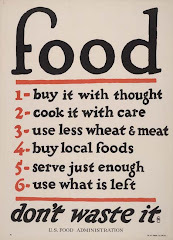 Just came across this recipe today and it's in the oven as I type. I made this last year for Easter & will make it again this year. It was a HUGE hit. Thanks for this great recipe!